Homeowners can claim 30% of the costs (up to a $1,500 limit) for the installation of higher efficiency equipment, including air source heat pumps, in tax years 2009 and 2010. The tax credit applies to the installed costs of the qualified equipment, which includes labor. Dittmar Heating Service can take care of all your heating needs. We do everything from seasonal tune-ups and cleanings to installation of new heating systems. 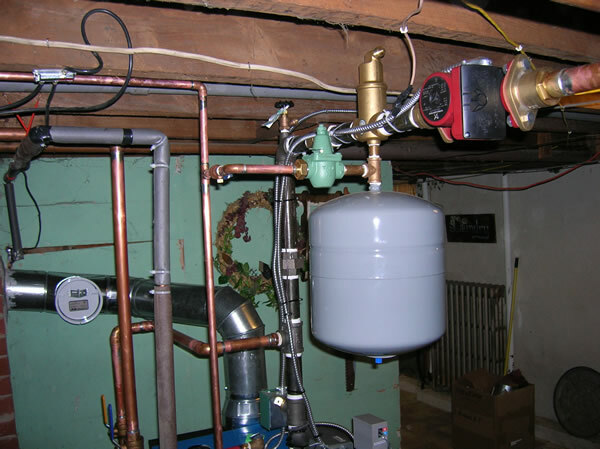 Dittmar Plumbing and Heating offers a wide variety of boilers from Buderus, Burnham and Axeman Anderson which are made locally in South Williamsport Pennsylvania. We also sell and install new oil tanks of any size. We take pride in all the work we do and make sure it’s completed to the highest standards. Whether you’re looking for a small part or a new heating system Dittmar Plumbing and Heating can take care of all your needs. R.W. Dittmar Plumbing and Heating is a member of N.A.O.H.S.M. (National Association of Oil Heat Service Managers) and is activily involved within the organization. Robert Dittmar is the current President of the Susquehanna Valley Chapter.